يوفر فندق Tollgate Motel ظروف إقامة راقية وهو خيار رائج للسياح ولرجال الأعمال أيضاً. يقع في منطقة سياحة, مطاعم من أديليد. إن موقع الفندق الاستراتيجي، الذي يبعد 8 km فقط عن مركز المدينة، يسمح للنزلاء بالوصول سريعاً وبسهولة إلى العديد من الوجهات المحلية المثيرة. يشكل هذا الفندق ملاذاَ مريحاً للاسترخاء ويمنح زواره فرصة للاستجمام والتجدد، وهو يقع على بعد خطوات من المعالم السياحية الكثيرة للمدينة كمثل: Carrick Hill Museum, بيومونت هاوس, ناشونال تراست. إن الخدمات الممتازة وحسن الضيافة العالي في Tollgate Motel تجعل إقامتك تجربة لا تنسى. لضمان راحة ضيوفه، يقدم الفندق الخدمات التالية: واي فاي مجاني في جميع الغرف, مرافق مخصصة لذوي الاحتياجات الخاصة, تسجيل وصول/خروج سريع, تخزين الأمتعة, واي فاي في المناطق العامة . تنعكس أجواء Tollgate Motel في غرف الضيوف.تلفزيون بشاشة مسطحة, اتصال لاسلكي بالإنترنت, اتصال لاسلكي بشبكة الإنترنت (مجاني), حوض الاسترخاء, غرف لغير المدخنين هي بعض الميزات الموجود في العديد من الغرف. كما أن مجموعة الخدمات الواسعة الموجودة في الفندق لضمان راحتك تترك لك الكثير من الخيارات لقضاء وقتك أثناء فترة إقامتك. إن Tollgate Motel هو خيار ذكي بالنسبة للمسافرين إلى أديليد، بما يوفره من إقامة هادئة ومرحة. Understanding that this is an old budget motel on a busy road it is good value for money. My experince was the staff responded positively and happily to a special request. I closed the window at night so the traffic noise was not an issue. The room was well laid out. Beds were comfortable. Everything was clean. Convenient to the city. Right on the start of the SE Freeway, all trucks, all night going up hill. The location is very good with access to Adelaide and to the SE of South Australia. Motel is tired and definitely needs work. Staff great and work hard. The host is excellent. The rooms are old but clean and functional. Convenient to the city. Tend not to notice the road noise. Staff were rude and unwelcoming. Need to exercise better social skills and as the try smiling! Look a little bit old but everything all right.One night stay in the spa double room.Provided lots of towels. We had a very pleasant stay with our room overlooking a beautiful park. The rooms are comfortable and very neat (although older). We did not have any problems with noisy traffic even though it is close to the main road. The staff was friendly and efficient. Overall we had a wonderful experience and would not hesitate to stay there again. Thank you to everyone at Tollgate Motel! Only stayed one night. Customer service was good, gave us upper floor room as requested on booking. However the room was old and had old smoke smell, and noticed rooms on ground floor at car park away from main building were newer so requested a change. Again staff was accommodating and allowed us to change with a smile. 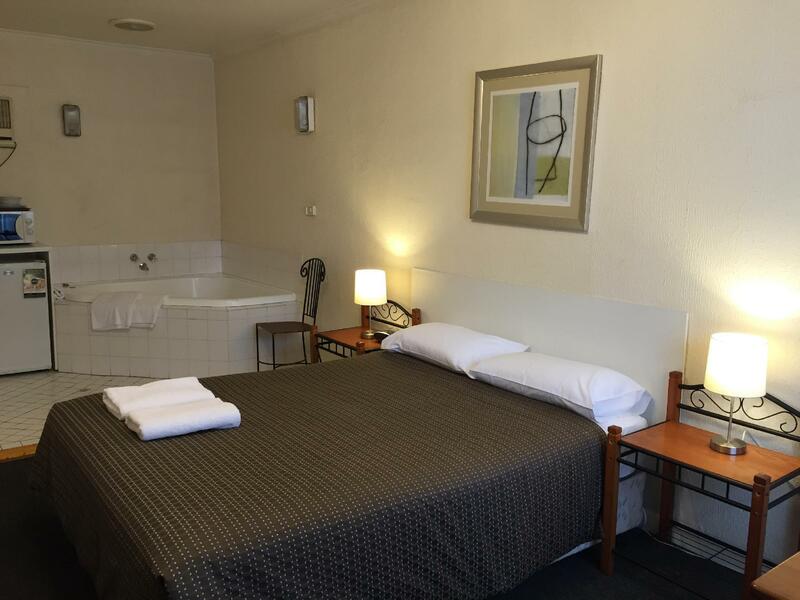 Cheaper than most places and newer rooms are OK, but we prefer Adelaide Granada Motorinn anytime, closer to Burnside shopping and much more comfortable at similar prices. Only stayed here as it was fully booked. For the price, the room had everything in it and was quite bigger than expected, everything worked fine and I felt safe with my room being upstairs with cameras watching everyone who entered. Parking was secure and well off the road in its own car park. Staff were friendly. The only improvement would be to paint the walls, it's a very old looking room and a quick paint would bring it to life. Pro's: This motel is easy to find, has ample parking, is very clean, with plenty of bedding and great customer service. The pool and room, though older, were spotlessly clean, and updated with well chosen furnishings and linen to provide a modern feel. We checked in very late, but we still greeted warmly, and felt very welcome here. Con's Motel is next to a highway and the room we stayed in had an older air conditioner. While this did not bother us (we slept solidly for both of our 2 nights), it may be of concern for the extremely light sleeper. Really nice owner, good, well equipped room for a quick stay. we arrived at the airport quite late and left quite early in the morning so didn't have long here but it was a nice place. 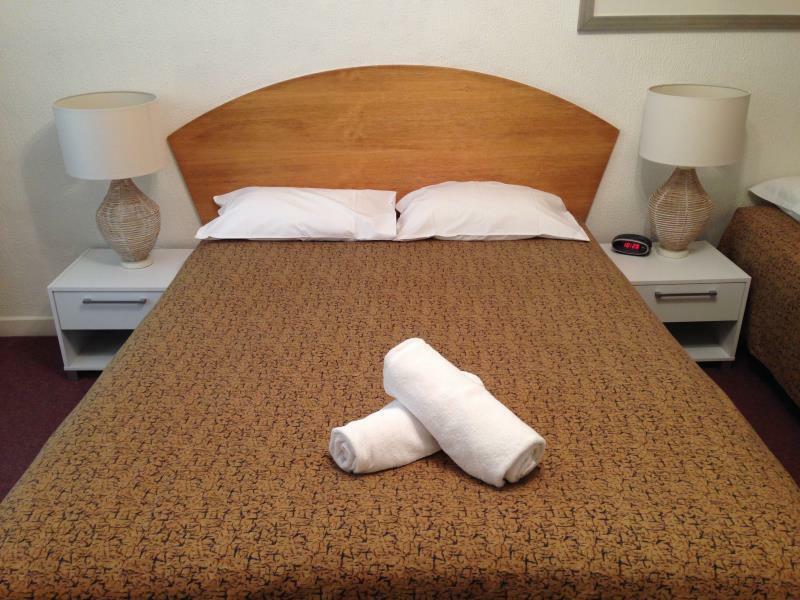 the owner was very friendly and helpful and the room had everything we needed. the pool was a bit old but was ok nonetheless. generally nice motel with good standard rooms and service. the only food we had here was takeaway so below rating for food doesn't really apply. Comfortable rooms, quiet despite highway location, good value for money. 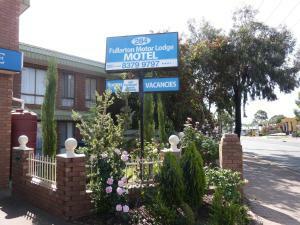 we wanted a motel close to adelaide city but not at 5 star prices. the tollgate was all of this and more. 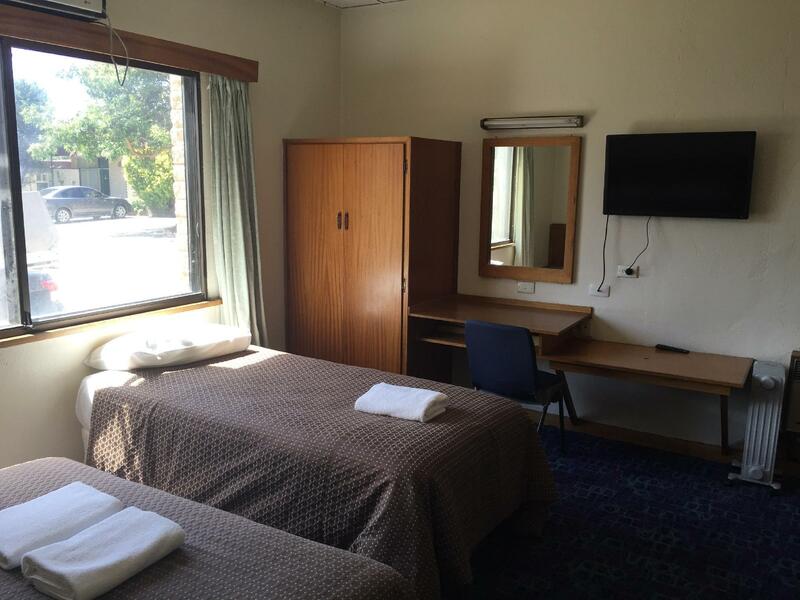 we were totally surprised that at only 5.5 kms out from the cbd, the motel was situated right at the bottom of mt osmond which made for a very enjoyable scenic drive around that part of the adelaide hills. some fantastic views overlooking the city can be seen from a number of lookouts on this reasonably short drive which starts virtually from your motel room door. despite being on a major highway, our room was well insulated keeping traffic noise to an absolute minimum. 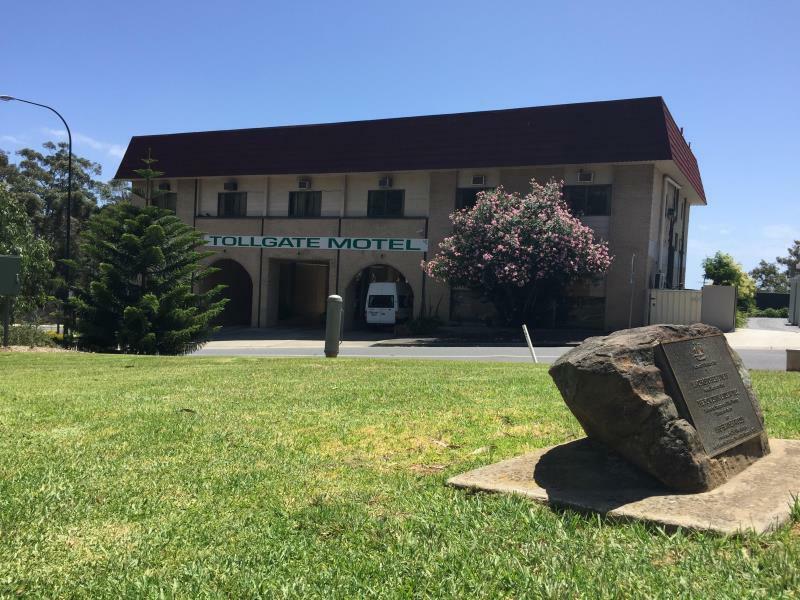 we enjoyed our stay at the tollgate as all of the facilities were clean and comfortable. access to feeder roads to the city of adelaide and the southern suburbs was easy. the staff were very respectful, cheerful and helpful. each room had parking out the front of it with some having shady trees. we have rebooked for the next 2 weeks as my husband needs to return for medical appointments. The room is quite clean.